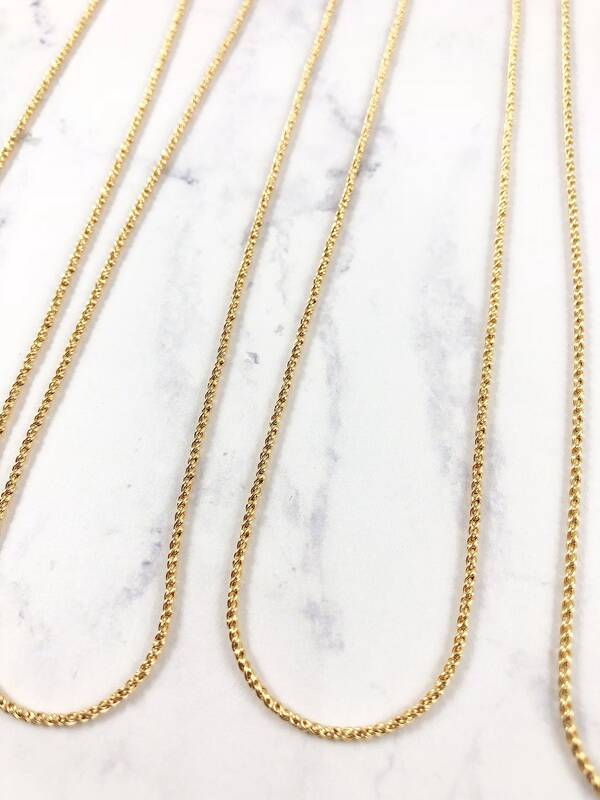 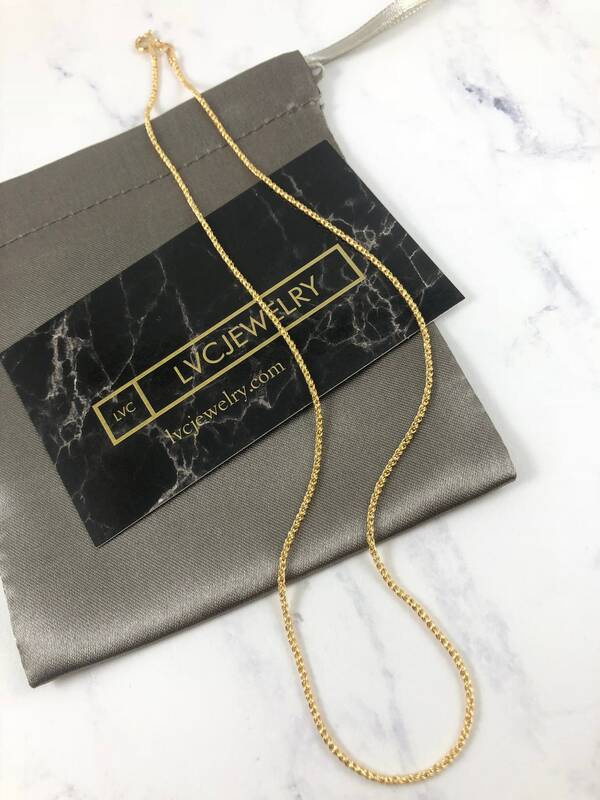 Make a statement with our 14kgoldfilled 1.4mm rope chain! 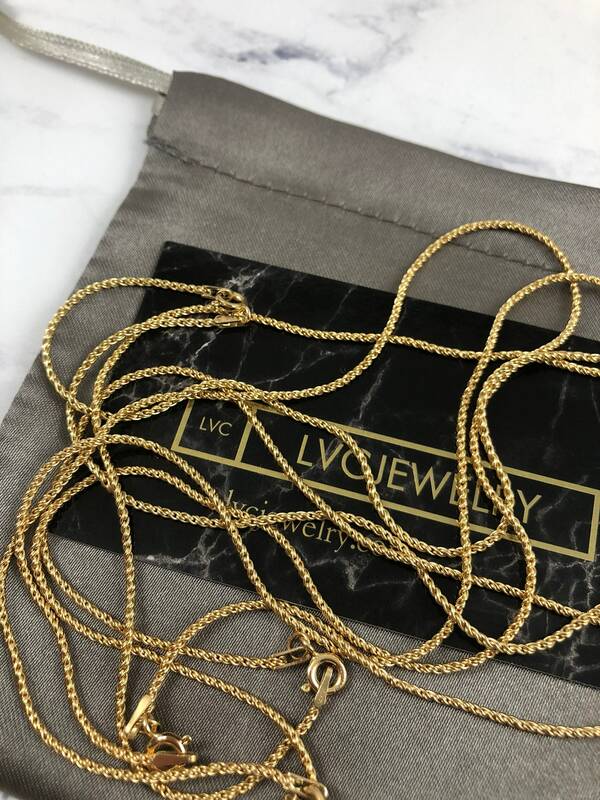 A very dainty look but still bold and feminine! 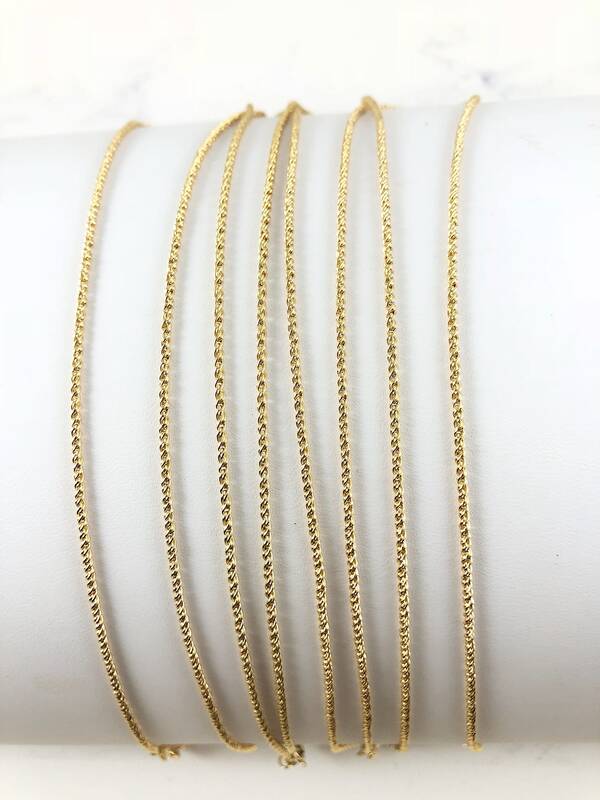 This reverse rope chain has a dense, woven link that creates a luxurious look! 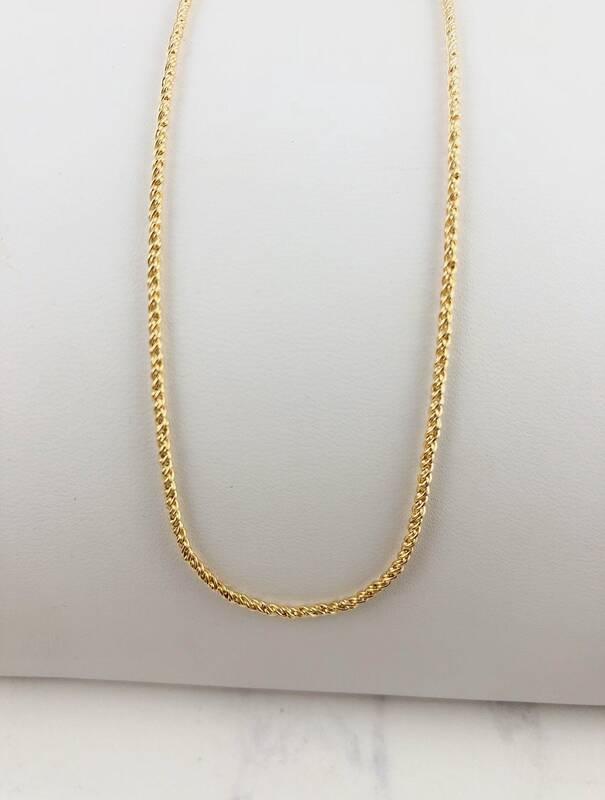 This alternating of the direction gives the finished chain a profile that looks more woven than spiral.